KJ Sawka has rocketed to international success over the course of the last five years, recently completing a two-year world tour as part of the platinum selling, award winning Pendulum. Now resting up back in his home city of Seattle USA, KJ has been re-visiting his studio to work on his solo production once more, which was in full flow well before he joined the biggest band in bass music. 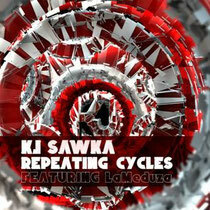 Now it’s time for his new track, ‘Repeating Cycles’.